Here are some snazzy birthday facts about 24th of September 1909 that no one tells you about. Don’t wait a minute longer and jump in using the content links below. Average read time of 9 minutes. Enjoy! What day was my birthday Sep 24, 1909? September 24, 1909 was a Friday and it was the 267th day of the year 1909. It was the 39th Friday of that year. The next time you can reuse your old 1909 calendar will be in 2021. Both calendars will be exactly the same! This is assuming you are not interested in the dates for Easter and other irregular holidays that are based on a lunisolar calendar. What day is September 24 this year? There are 153 days left before your next birthday. You will be 110 years old when that day comes. There have been 40,024 days from the day you were born up to today. If you’ve been sleeping 8 hours daily since birth, then you have slept a total of 13,341 days or 36.53 years. You spent 33% of your life sleeping. Since night and day always follow each other, there were precisely 1,356 full moons after you were born up to this day. How many of them did you see? The next full moon that you can see will be on May 18 at 21:13:00 GMT – Saturday. Fun stat: Your first one billion seconds (1,000,000,000) happened sometime on June 2, 1941. If a dog named Radcliffe - a Polish Lowland Sheepdog breed, was born on the same date as you then it will be 510 dog years old today. A dog’s first human year is equal to 15 dog years. Dogs age differently depending on breed and size. When you reach the age of 6 Radcliffe will be 42 dog years old. From that point forward a medium-sized dog like Radcliffe will age 4.5 dog years for every human year. View the complete list of September 24 celebrity birthdays. Who are the famous September 24 birthdays? Here’s a short list of famous people in history who were born on Sep 24. View the complete list of September 24 famous birthdays. 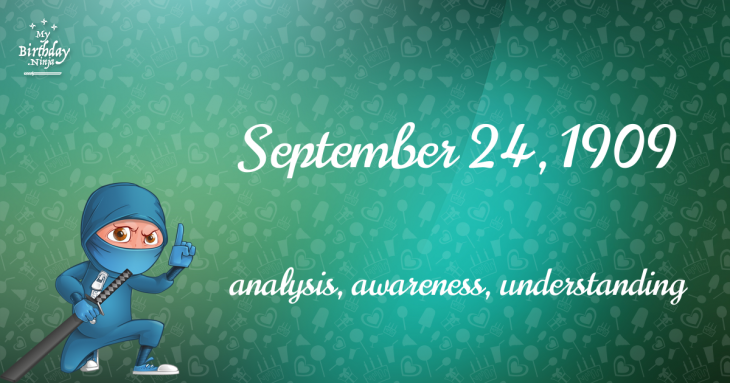 What happened on my birthday – Sep 24th? Muhammad and his followers completed their Hijra from Mecca to Medina to escape religious persecution. The United States Congress passes the Judiciary Act which creates the office of the United States Attorney General and the federal judiciary system, and orders the composition of the Supreme Court of the United States. Belgian Revolution: A revolutionary committee of notables forms the Provisional Government of Belgium. U.S. President Theodore Roosevelt proclaims Devils Tower in Wyoming as the nation’s first National Monument. His Majesty’s Airship No. 1, Britain’s first rigid airship, is wrecked by strong winds before her maiden flight at Barrow-in-Furness. World War I: The Siege of Przemyśl (present-day Poland) begins. Dougal Haston and Doug Scott on the Southwest Face expedition become the first people to reach the summit of Mount Everest by any of its faces. Periodic Great White Spot is observed on Saturn. A 7.7-magnitude earthquake strikes southern Pakistan, killing more than 327 people. View the complete list of September 24 historical events. What does my birthday September 24, 1909 mean? 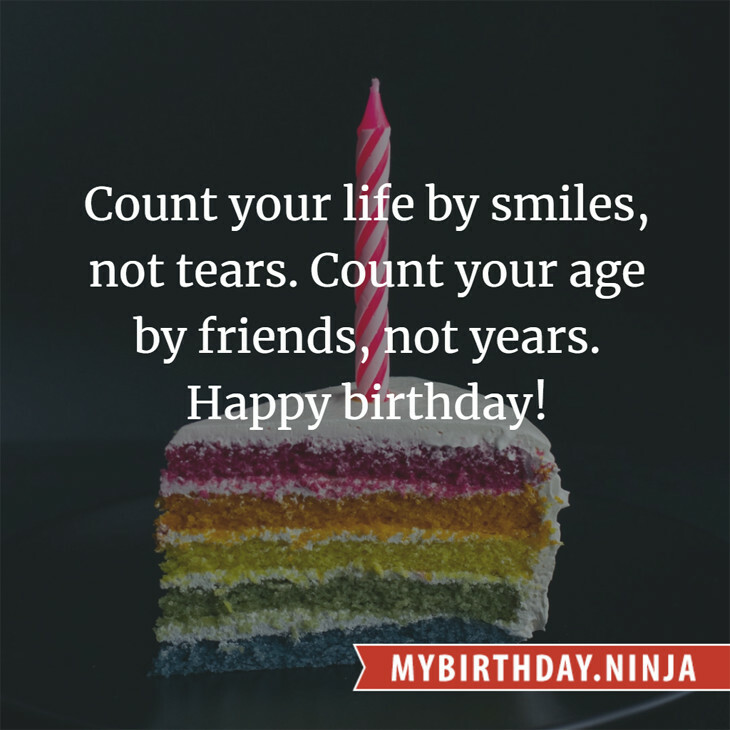 Your birthday numbers 9, 24, and 1909 reveal that your Life Path number is 7. It represents analysis, awareness and understanding. You are the searcher and the seeker of the truth. The following celebrities also have the same life path number: Tony Capstick, Steve Taylor, Gustavo Cerati, Bobby Pickett, Kokia, Mike Hindert, Melissa Peterman, Garry Hynes, Raymond Ochoa, Junichi Ishida. What is the birthday horoscope for Sep 24, 1909? The Western zodiac or sun sign of a person born on September 24 is Libra ♎ (The Scales) – a cardinal sign with Air as Western element. The ruling planet is Venus – the planet of love and beauty. According to the ancient art of Chinese astrology (or Eastern zodiac), Rooster is the mythical animal and Earth is the Eastern element of a person born on September 24, 1909. What is the birthstone for September 24? Fun fact: The birth flower for 24th September 1909 is Aster for memory. What is the Love Match for Sep 24, 1909? When it comes to love and relationship, you are most compatible with a person born on February 16, 1919. You have a Love Match compatibility score of +148. Imagine being in love with your soul mate. On the negative side, you are most incompatible with a person born on December 5, 1931. Your incompatibility score is -214. You’ll be like a cat and a dog on a love-hate relationship. Arf-arf, I want to bite you. Meow-meow, stay away from me! What is a good birthday trivia for September 24? What is the popular baby name on 24 Sep 1909? What’s your bizarre Florida Man story? The #FloridaManChallenge is breaking the Internet and social media. Some crazy men, women, or creatures from the Sunshine State are making headlines every day of the year including your birthday. Try this fun exercise. Pick your search engine of choice and type in “florida man September 24” and see what kind of wild news headline you will get. This viral craze started in 2013 and gets resurrected now and then. The latest was from Tumblr and found its way to Twitter. As they say, the rest is history. Here’s a quick list of all the fun birthday facts about September 24, 1909. Celebrities, famous birthdays, historical events, and past life were excluded. Try another birth date of someone you know or try the birthday of these celebrities: September 1, 1943 – Don Stroud, American actor and surfer; September 9, 1947 – Freddy Weller, American singer-songwriter and guitarist (Paul Revere & the Raiders); May 25, 1976 – Ethan Suplee, American actor and singer.